Buying a piece of property is a tremendous investment, and an array of legal issues comes into effect when buying or selling real estate. Even issues involving the management of a piece of property may be subject to a many different laws. Individuals and businesses seeking to make any type of real estate transaction or manage a piece of real estate should consult with a lawyer who understands the specifics of real estate law. Why Do I Need to Hire a Real Estate Lawyer? Buying a house – Purchasing a new home is complicated, and sometimes a real estate agent alone cannot answer all your questions. Finding a lawyer who can examine the language of your mortgage or any other contract can ensure you receive fair treatment and a fair deal. Many people get locked into mortgages before realizing that they missed minor but important details that come back to haunt them. You can avoid this by talking to an attorney who understands real estate law. Selling a house – Much like buying a home, selling a home is similarly complicated and involves contracts that an attorney should draw up or scrutinize. Lawyers can answer any complicated questions, including whether you will owe any taxes on the proceeds from your home sale. Selling a home is a great deal of work alone, and the advice of an attorney can be crucial. Home defects – If your home has a major defect, such as lead paint, and the seller or property owner failed to disclose this, you may be able to take legal action. You may be able to speak to a personal injury lawyer if you believe anyone in the home was harmed because of this defect. Landlord or tenant relationships – Leasing property to renters can be a positive, profitable experience or it can become a nightmare. Tenants and property owners often have a number of different disputes, such as rent payments, security deposits, apartment damage and other issues. A lawyer can work with you to resolve disputes with a property owner or renter. Foreclosure – Sometimes circumstances can cause someone with a lien on your house to take possession of your property. Whether you want to keep your home or just need to find out how to handle the situation, it does not hurt to speak with a lawyer about what options you may have. In some cases, a bankruptcy attorney can work with you to manage your debt or file for bankruptcy and prevent the foreclosure from leaving you without a home. 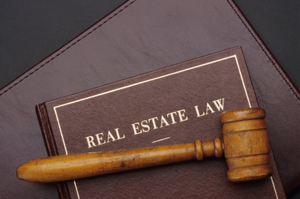 Many different lawyers may be able to assist you with your real estate issues. With a little research, you can retain a lawyer who thoroughly understands your problems and can find the right resolution.